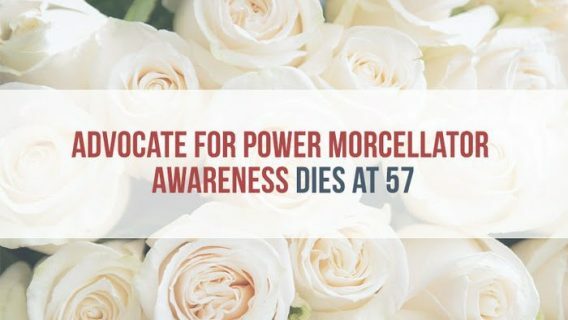 Earlier this month, the U.S. Food and Drug Administration announced it conducted investigations into deaths caused by minimally invasive surgical tools for hysterectomies and uterine fibroid removals called power morcellators. The agency conducted investigations of several hospitals including Brigham & Women’s Hospital, Rochester General Hospital and University of Rochester Medical Center, the Cancer Letter reported. The FDA’s investigations came in response to a Dec. 18, 2015 letter to Director George Karavetsos from Congressman Mike Fitzpatrick. Power morcellators are drill-like surgical devices used to cut up pieces of tissue into smaller chunks that doctors remove through small incisions in minimally invasive surgery, typically in gynecologic procedures such as hysterectomy or myomectomy. But, in 2014, the FDA warned the public that these devices could spread hidden uterine cancer. Under medical device reporting regulations, Section 803 of Title 21 of the Code of Federal Regulations (21 CFR 803), hospitals must report suspected device-related deaths or serious injury to the FDA and device manufacturer within 10 days. Manufacturers must report death or injury to the FDA within 30 days. But, it is unclear whether these hospitals properly reported deaths linked to power morcellators. “It appears that these patient safety regulations may not be working as intended, leaving patients in danger,” Fitzpatrick wrote in his letter. Further, he requested the FDA investigate whether these hospitals complied and asked what enforcement actions the agency took against the hospitals. He also asked the agency for a criminal investigation into morcellator manufacturer, Johnson & Johnson’s Ethicon. While the FDA acknowledged the investigation of the hospitals, it did not confirm or deny criminal investigations. 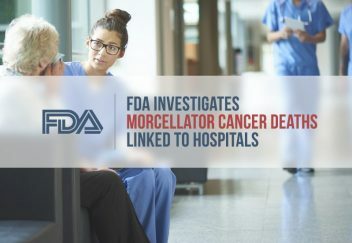 While the FDA cleared several morcellators for use in the 90s, it did not receive reports about the devices spreading cancer and subsequent deaths until December 2013. 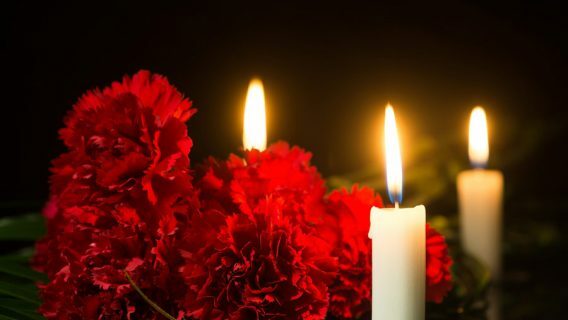 But, Brigham doctors Michael Seidman and Michael Muto published a November 2012 study detailed that four patients were diagnosed with leiomyosarcoma — a very aggressive uterine cancer — after morcellation at the hospital. Three of the four patients died. Ethicon, the largest manufacturer of the devices, denied knowledge of morcellator dangers prior to December 2013. 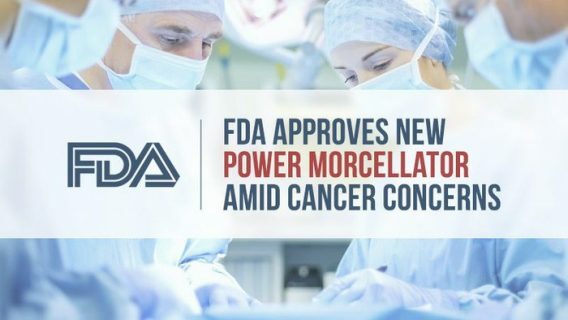 They pulled their devices off the market shortly after the FDA released its warning and Dr. Amy Reed, who received a cancer diagnosis after a morcellator hysterectomy, sent a medical device report to the FDA. But, Dr. Robert Lamparter produced documents from 2006 showing that he advised J&J of possible cancer spread linked to a morcellator. In addition, the retired pathologist also provided risk estimates similar to the FDA’s — about 1 in 350 women could have undiagnosed uterine cancer. 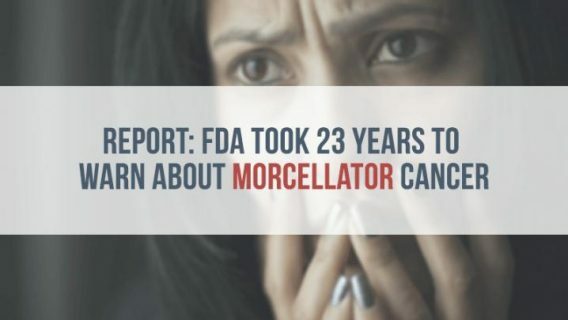 Women and families affected by morcellators also continue to file federal and state lawsuits against manufacturers. J&J faces 30 federal cases in Kansas and attorneys expect more. In his continued fight to raise awareness about the dangers of morcellation, Fitzpatrick wrote a letter to Vice President Joe Biden to include meaningful reforms to Cancer Moonshot initiative. The initiative is a national plan to “eliminate cancer as we know it,” according to the White House press release. So far, the FDA added more warnings to laparoscopic morcellator packages, but the devices remain on the market.